Hi everybody! What do you call the round string of fur on the woman's hat? pom diddly-om pom, pom pom! That is most-likely a cluster of ostrich or marabou feathers. If you're talking about the circle of "fur" under the woman's hat -- well, it's hair. At least that's what fur is called when it's on a human. Otherwise, yes, gdwd's right: it's a cluster of feathers. 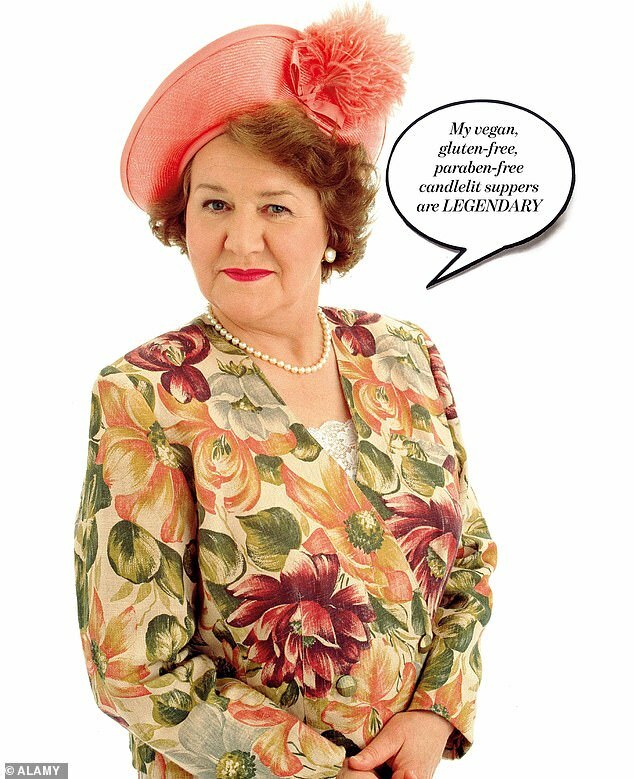 I believe that lady is Hyacinth Bucket (Boo-KAY) -- for whom "keeping up appearances" was of paramount importance in, what, the '80's? The item, being the ball, is a pompom. The material used to make the pompom maybe feather. 1. Also pompon. an ornamental tuft or ball of feathers, wool, or the like, used on hats, slippers, etc. tony h, gdwdwrkr and Shelley : Thank you all very much for your answers. This is what is done by persons of our quality. Was it Onslow who sang "Daisy, Daisy, give me your answer do! "?